Ginger root is an old and time tested remedy for many common complaints. The Romans prized it as a precious commodity! 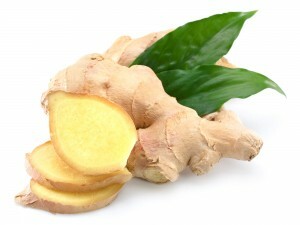 The major active ingredient in ginger is Gingerol. It is a warming herb and therefore very useful in my Winter Elixir which is a staple in the cold and flu season. It can be eaten fresh or dried, made into tea or used in cooking. It has been well researched and has many traditional and modern uses. We should note that Ginger is safe for use during and after pregnancy. Thanks for posting! We keep our genigr root whole, wrapped in a bag in the freezer, and just grate it as we need it. Its lasted for months and the grater even keeps the peel away from the grated part. If you grate instead of chopping, you avoid getting big chunks, which I hate but my husband doesnt mind.Its also nice grated into your rice with a bit of lemon zest and/or lemon juice. We do it all in the rice cooker this way just add everything before you turn it on. Sounds lovely. Thanks for sharing.